This show is a pre-record of a conversation I had between Bernard De Koven, a visionary author, mystic and champion of fun. And Bernard De Koven, a research professor of psychology at Boston College who has conducted and published research in neuroendocrinology, developmental psychology, anthropology, and education. As different as these two men may sound on paper, their work intercept in the most “playful” ways. In his book, A Playful Path, Bernie DeKoven writes. We recorded this conversation in late May of 2017, not knowing where the conversation would take us. But I knew one thing, it would be fun. Play, playing, playfulness and fun play an important role in human development. But why it is important? And can we really have a series conversation about the importance of play? Is it true that facilitates humans to tap into their creativity while developing their imagination, dexterity, and physical, cognitive, and emotional strength? It is true that Play is important to healthy brain development? Is also true that through play that children learn how to engage and interact in the world around them? 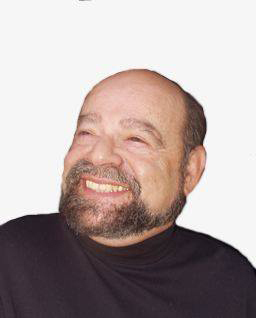 Bernard De Koven is a visionary author, mystic and champion of fun, Bernie De Koven. What a beautiful title to have! Bernard Louis De Koven (Bernie) teaches and designs funny games. Over the course of his 45 year career he has explored how fun and playfulness can positively affect every aspect of personal and interpersonal, community and institutional health. Many of the most important trends in games today, from large scale community games to casual game apps have roots in Bernie’s influential ideas. He is the author of The Well-Played Game (originally published by Doubleday in 1978 and reissued in 2013 by MIT Press) as well as Junkyard Sports, A Playful Path (over 654,000 downloads), and a CD Recess for the Soul, demonstrating how to have more fun in your inner playground. He continues to make his work publicly available through his seminars and websites. In 1971, Bernard De Koven completed his Interplay Games Curriculum and founded The Games Preserve, a retreat center for the exploration of games and play in Eastern Pennsylvania. The Games Preserve served many organizations and individuals, and functioned as the East Coast branch of The New Games Foundation. In 1978, De Koven published The Well-Played Game, which was re-released by MIT Press in 2013. The next year, he published his collection of short essays A Playful Path. During his long career, he has designed games of all kinds: board and table games, computer games, social games for small and large groups, city-wide game celebrations, theater games, games for couples, families, children and elders. But his greatest impact has been his development of a theory of fun and playfulness and how it can affect every aspect of personal and interpersonal, community and institutional health. De Koven has been exploring playfulness for more than 45 years. His book, The Well-Played Game, originally served to help guide people who had discovered the power of play through the New Games Foundation. Today it serves designers of videogames who also want to share the power of play through their new games and new visions of playfulness. 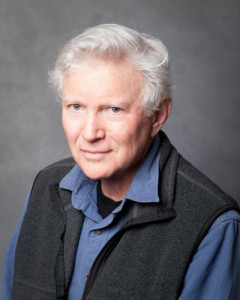 Peter Gray, research professor of psychology at Boston College, has conducted and published research in neuroendocrinology, developmental psychology, anthropology, and education. He is author of an internationally acclaimed introductory psychology textbook (Psychology, Worth Publishers, now in its 7th edition), which views all of psychology from an evolutionary perspective. His recent research focuses on the role of play in human evolution and how children educate themselves, through play and exploration, when they are free to do so. He has expanded on these ideas in his book, Free to Learn: Why Unleashing the Instinct to Play Will Make Our Children Happier, More Self-Reliant, and Better Students for Life (Basic Books). He also authors a regular blog called Freedom to Learn, for Psychology Today magazine. His own play includes not only his writing and research, but also long distance bicycling, kayaking, backwoods skiing, and vegetable gardening. Before joining the faculty at Boston College, he earned his undergraduate degree at Columbia College and Ph.D. in biological sciences at the Rockefeller University, and taught at Hunter College and City College in New York. Free to Learn: Why Unleashing the Instinct to Play Will Make Our Children Happier, More Self-Reliant, and Better Students for Life, is now available in paperback and for the kindle.